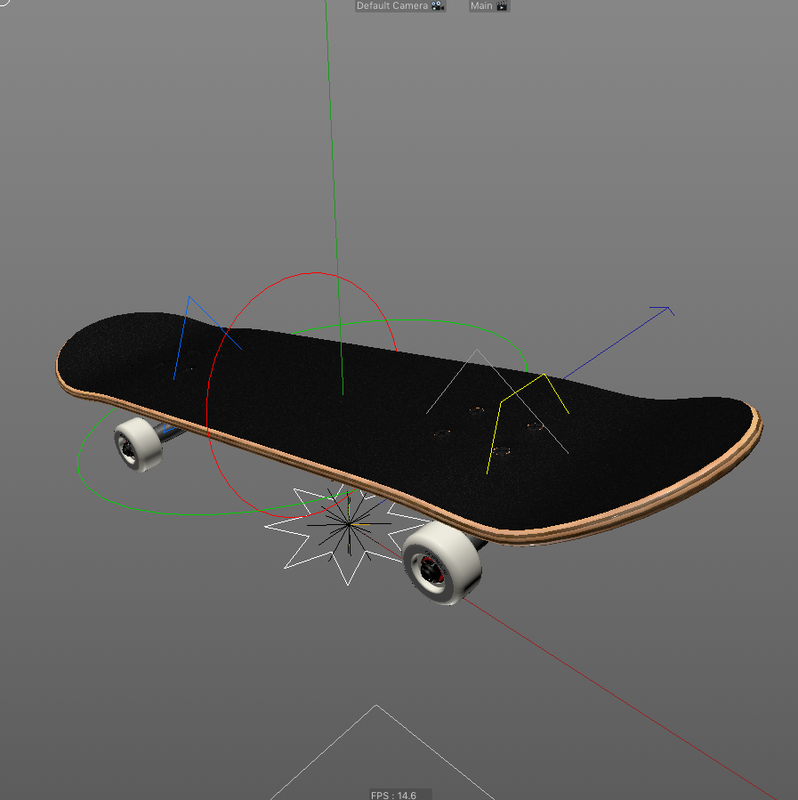 i wanted an easy to animate skateboard rig inside of Cinema 4D. so i took the existing R19 Skateboard found in the Broadcast Content Library and added some XPresso tags and macro sliders to make it easy to control like a real skateboard. so now, when you push the board forward or backward, the wheels turn. also, you can lean left or right, and the trucks angle themselves appropriately. the original skateboard model was made by Pavel Zoch, and he did amazing work. i simply added a few details like physically accurate bearings, complete hardware that can be tightened, loosened, or removed, an axlerod that goes through the wheels into the actual truck hanger, and real 7 ply wood layers. 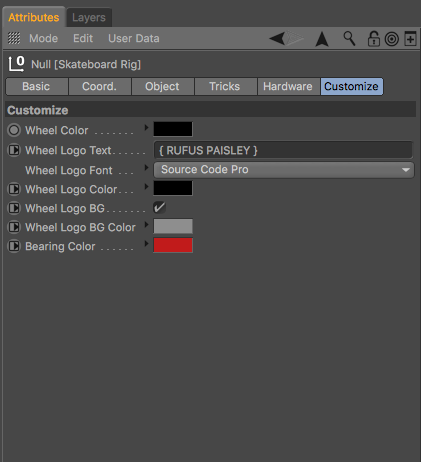 the rig gives you nearly full customization control with sliders for wheel logo text, wheel colors, and logo background colors, as well as a switch for deck graphic that you can toggle on and off, making it easy to turn any image on your hard drive into a skateboard graphic. there are also trick controls, including a shuvit slider, a kickflip/heelflip slider, and separate ollie, air, and flatten out controls to make animating any trick as easy as first try back smithing a 14 stair (just kidding, its easier than that).